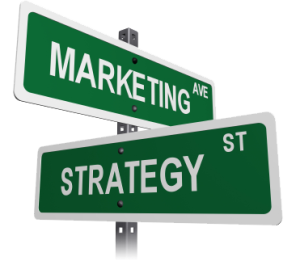 The word “Marketing” is such a generic word for such a complex portion of your business. Your marketing efforts can literally make or break your company, which is why FLIP wants to help you. Our society has become so quick and demanding – most people want everything yesterday and for the cheapest price. Society has also become extremely tech savvy! Most kids know how to operate apps on an Ipad, tablet or phone before they are potty trained. Your business needs to keep up with the consumers and their evolving expectations. Did you know most people make a first impression of a business within 2 seconds of looking at their website, brochure or commercial? Is your brand messaging clear? Is your phone number clear? Can people tell exactly what you offer? What is your catch phrase? All of these things need to be clear, from your logo design to your website, print marketing and TV ads. Your marketing strategy can be very complex, intimidating and frustrating but we will help you understand WHAT to buy and give you detailed explanation of WHY we feel this is the best choice for you and your business. We make sure we listen to what you have done in the past and what has worked or not worked. We also listen to what your competition is doing and what you feel your consumer is focused on getting from your business. Once we collect all this information we will research and compile data to make the best educated decision possible. We know MARKETING and you know YOUR BUSINESS – We will suggest what MARKETING will work, and you will approve what YOUR BUSINESS needs! Does your logo design need to be modernized or spruced up? Are your business cards just white with black writing on them? The first impression your customer may get is “Wow, they are cheap” or “They are so uncreative”. These are not comments which will help customers get excited about your business. So, let FLIP get your customers excited about YOU! 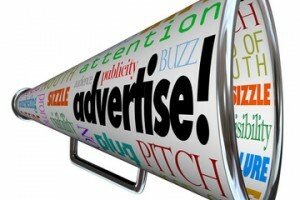 We will do any type of media buy, (such as TV, Radio or Billboard) . We will create, edit and design any journalistic or print ad (such as magazines, newspaper, yellow pages), and of course we do ANYTHING online (such as build new website, refresh your existing website, SEO, Pay Per Clicks (Adwords). We have a very talented, creative team who will work closely with you to do all your design work with you. We feel it’s best to have an in house design team instead of outsourcing this because this way all of your branding will be consistent and you will be sure to get exactly what you want! Let FLIP Marketing and SEO help you FLIP your numbers around!